Order your Fahrney's Exclusive Cursive Practice 6 x 8 Notebook today from FahrneysPens.com. Fine Pens, Refills & Luxurious Gifts – great prices & fast shipping. Cursive writing has been shown to benefit kids with improved thought processes, enhanced motor skills, wider attention spans and of course, legible writing! 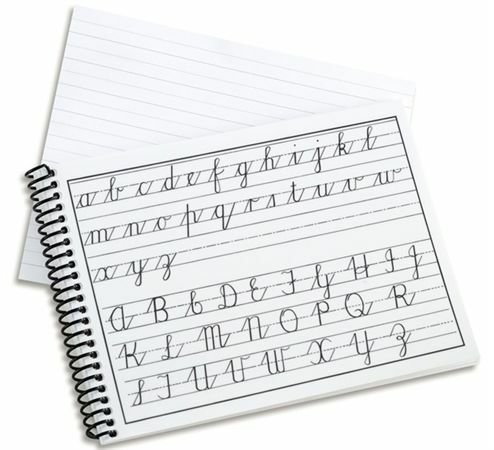 Help your child’s penmanship with our Cursive Practice Notebook. Practice pages give them a place to try out their new skills. 60 pages.